One of the most well-known company types in Indonesia is Local Company also known as PT. 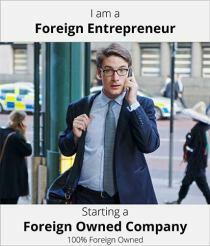 It’s commonly used by both local entrepreneurs and, in some occasions, foreign investors. Depending on the type of business activities, certain business fields might have limitations or are closed for foreign ownerships. Furthermore, it is mandatory to fulfill a minimum investment of USD 800,000 to obtain a business license for PMA company. 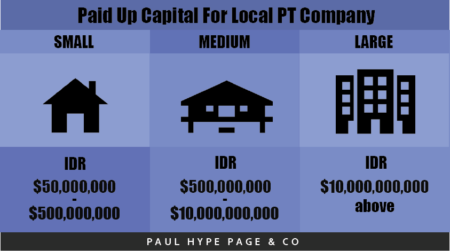 Therefore, you may consider establishing a local PT company which is allowed to conduct specific business activities and there is no obligation to spend USD 800,00 investment in Indonesia. Local PT (Perseroan Terbatas) Company is a limited liability company established under the laws of Indonesia. In a Local PT, only Indonesian citizens and Indonesian legal entities are allowed to hold shares as registered shareholders. 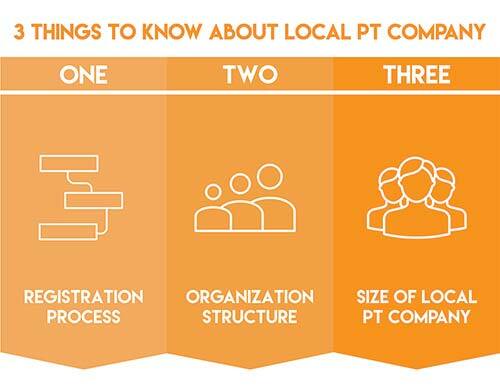 Local PT companies have several features that separates it from other business entities, refer to our guide below to answer your questions! 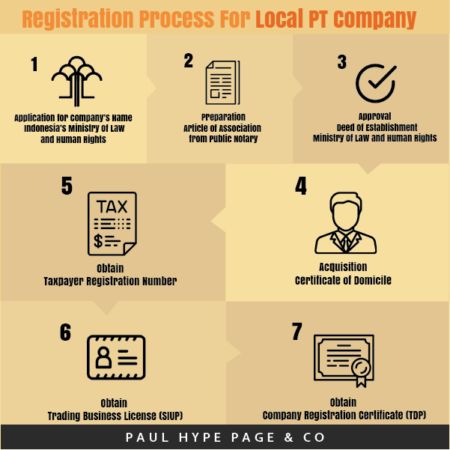 To register a local PT company, it has to be 100% owned by Indonesian citizen. Hence, you will need a Local Nominee with notarized nominee agreement to protect the foreign entrepreneur’s ownership in the company. 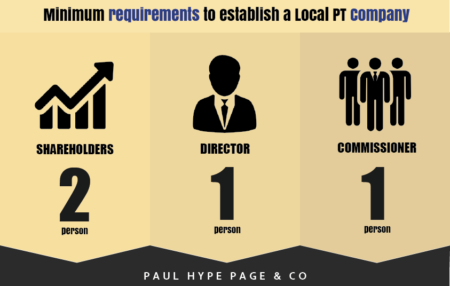 Local PT company is a great choice for foreign investors who wish to expand their business in Indonesia but is constrained by limited ownership for certain business areas. Thus, they can get a local nominee director to represent a partial ownership, but the foreign investors will get a full ownership.